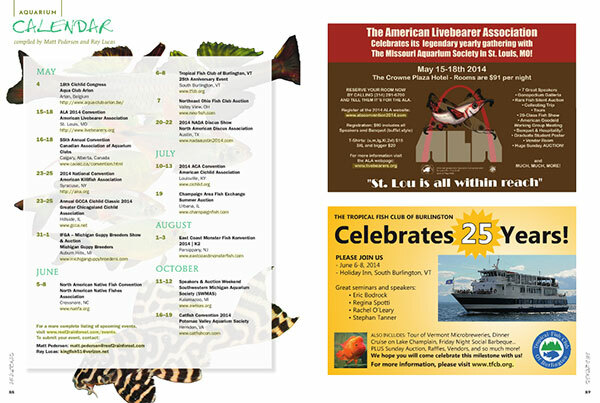 The correct caption and photograph credits appear in the digital edition of AMAAZONAS Magazine. We regret an oversight in the print version of the September/October 2016 issue of AMAZONAS Magazine. 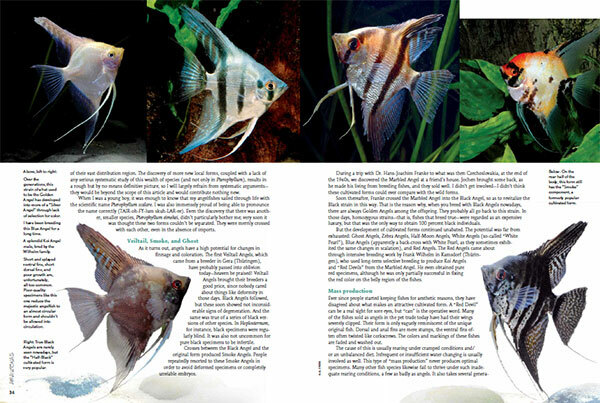 On page 5, the table of contents, at lower left, the print version includes the caption and photographer credits, which erroneously reads, “COVER: Phenacogrammus aurantiacus, Lamp Eye Congo Tetras by Hans-Georg Evers.” This caption was from the prior issue’s cover. 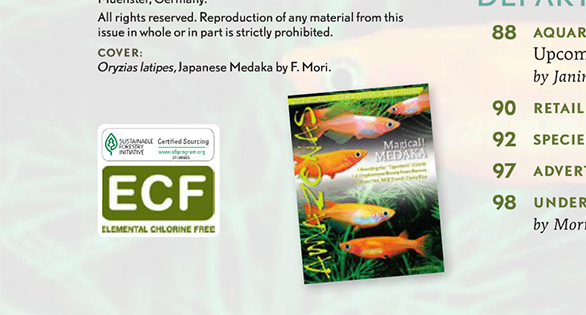 The correct caption and credits, which appear in the digital edition, are, “COVER: Oryzias latipes, Japanese Medaka by F. Mori.”. You can see more images of these incredible orange strains of Japanese Medaka, and many other variants, in The Best & Brightest Japanse: Medaka, by Fumitoshi Mori and Friedrich Bitter, starting on page 26 of this issue.